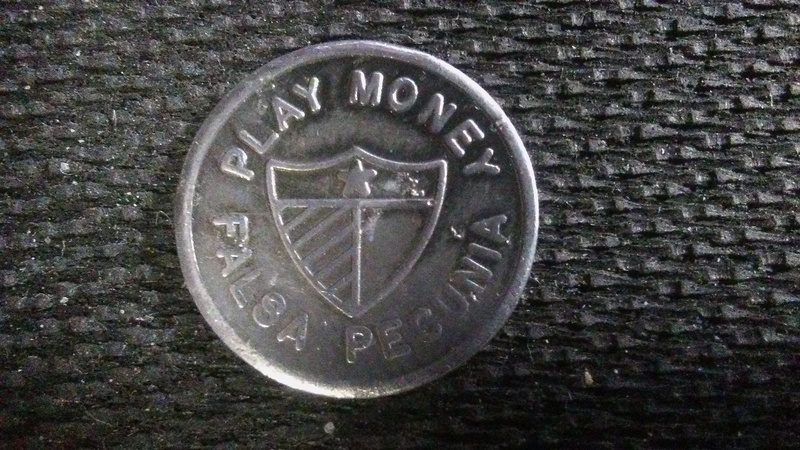 I am referring to my "Play Money .. Falsa Pecunia" .. "Uncle Sam 1953 Play Dime" which are considered a Trade Token because they have a Good-For Trade Value. 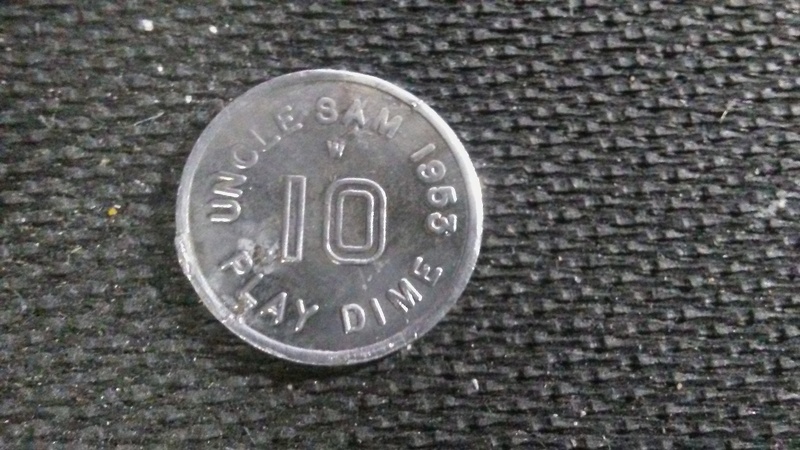 As you can see, mine was produced in 1953, but unfortunately for me they didn't 'mint' Play Money out of silver. This was recovered from about 1½" to 2" near where an old barn stands in a dirt/rock area used for driving wagons, vehicles and tractors. Fortunately, this thin aluminum find was only marginally damaged. "Your EYES ... the only 100% accurate form of Discrimination!" Went detecting with Monte and the "New Kid"
Re: Went detecting with Monte and the "New Kid"
It was a fun day, and maybe the last for the year. To Everything there is a season . . . . Winter is here. Rich (Utah), comments, and you have a great 'imagination.'. Button -- Button. Who found the button? Re: Button -- Button. Who found the button? Another 'Welcome' to the AHRPS Forums.